Frank Cullen Albert (January 27, 1920 – September 5, 2002) was an American football player. He played as a quarterback with the San Francisco 49ers in the National Football League. Albert attended Stanford University, where he led the 1940 football team to an undefeated season and the Rose Bowl. Many who saw Frankie Albert in action credit him as being the greatest left-handed quarterback ever to play the game. Albert was born in Chicago and attended Glendale High School in Glendale, California. He went to Stanford University where he was coached by T formation innovator Clark Shaughnessy. Albert played as Stanford’s quarterback and in 1940-41 became an all-American. He was the first college T-formation quarterback in modern football history. He led the team of 1940 to a 9-0 regular season, 21-13 victory over Nebraska in the Rose Bowl and a No. 2 national ranking, behind Minnesota. He was also a member of Stanford's chapter of the Delta Kappa Epsilon fraternity. After graduation Albert served in the Navy during World War II for four years. In the 1942 NFL Draft the Chicago Bears selected Albert with the 10th overall pick. 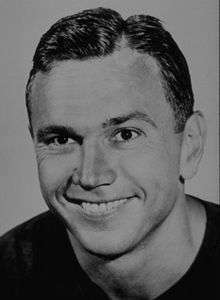 After quarterbacking the Los Angeles Bulldogs of the Pacific Coast Football League in 1945, he launched his All-Pro career with the San Francisco 49ers of the All-American Football Conference in 1946. He played seven seasons with the 49ers. Albert, a 5-9 in height, 166 pound, left-handed passer, was credited for inventing the bootleg play, in which the quarterback fakes a handoff then runs wide with the ball hidden on his hip. In 1948 he was named AAFC co-Most Valuable Player with Otto Graham. He played his last two seasons competing with Y. A. Tittle. In 1950, Albert was named to the Pro Bowl when the 49ers joined the National Football League. He retired after the season of 1952. In seven pro seasons, Albert threw for 10,795 yards and 115 touchdowns. Albert played one final season with the Canadian Football League's Calgary Stampeders. After his retirement, the San Francisco 49ers hired him as a scout and coach. He became the head coach in 1956 by owner Tony Morabito. He coached the 49ers for 3 seasons with a 19-16-1 record. After football, Albert got into real estate as he helped raise three daughters with his high school sweetheart and wife of 60 years, Martha. All three of his daughters attended Stanford. One of his daughters, Jane Albert Willens, ’67, was an All-American tennis player at the Farm. He died on September 5, 2002, from Alzheimer's disease. In addition to his wife, Martha, Albert is survived by his three daughters, Nancy James, of Bend, Ore., Jane Willens, of Palo Alto, and Terry Levin, of San Francisco; and his seven grandchildren. ↑ Hession, Joseph (1985). "FRANKIE ALBERT: "MR. 49ER"". HE COFFIN CORNER. 7 (5). ↑ Maher, Tod; Gill, Bob (2013). The Canadian Pro Football Encyclopedia: Every Player, Coach and Game, 1946–2012. Maher Sports Media. p. 141. ISBN 978-0983513667. ↑ Goldstein, Richard (September 9, 2002). "Frankie Albert, a Pioneering Quarterback, Is Dead at 82". New York Times.